Add that perfect coastal finishing touch to your home's decor with the unique mirror. This beautiful mirror is framed in a wood weather distressed finish. Design has that beach cottage charm. 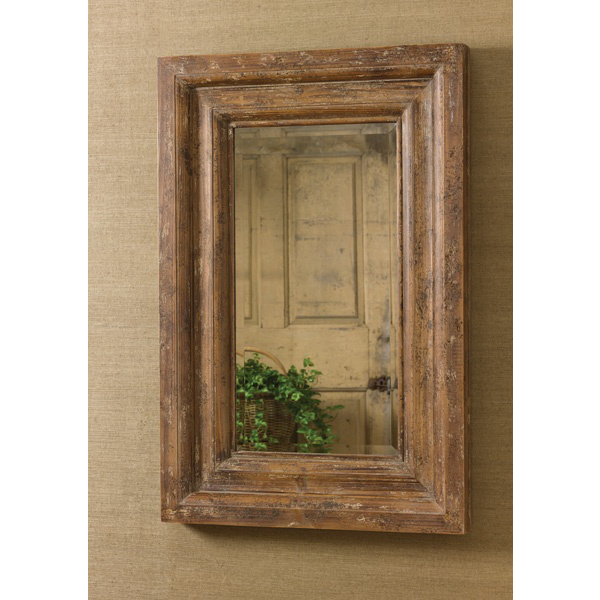 This 36 inch mirror has a fresh unique look that will defiantly compliment your coastal decor. See matching wall shutter cabinet and clock sold separately.